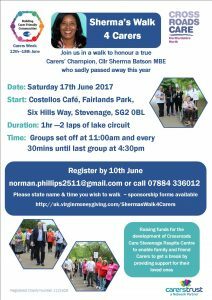 Stevenage Carers’ Café members, fellow Carers and supporters will be undertaking a relay walk in honour of the late Cllr Sherma Batson who fought long and hard to support family and friend Carers. 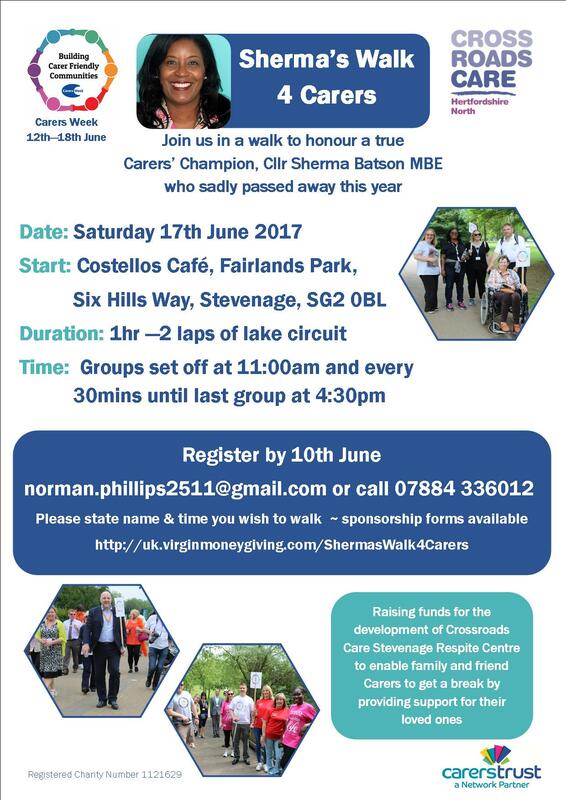 The sponsored relay walk will take place on Saturday 17th June as part of this year’s Carers Week, an annual campaign to recognise the vital role carers play. Crossroads Care pledges to continue it’s work with partners to build carer friendly communities. Everyone is welcome to join in this event and show their support whilst fundraising for the development of the Crossroads Respite Centre in Roebuck, Stevenage where Sherma was a Borough Councillo r.
Join us at a Summer Ceilidh to start Carers Week off with a twirl and enjoy music from the Cyriacs whilst trying to send your feet in the right direction! Ceilidh dancing is a bit like barn dancing, no experience necessary – its all about enjoying yourself! Tickets are £12.50 and are selling fast and must be purchased in advance as it’s always a sell out. 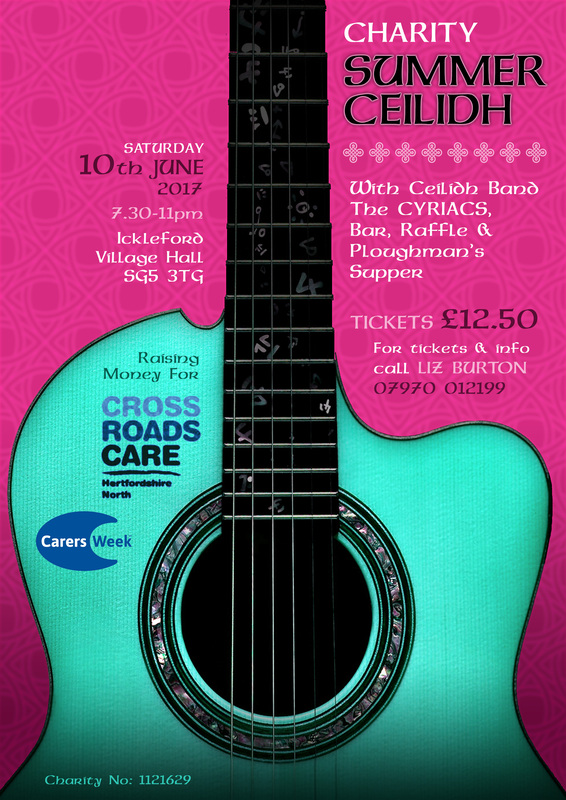 We would like to thank the team of volunteers who are giving up their time to organise this fundraising event and for their ongoing commitment to support family and friends Carers. 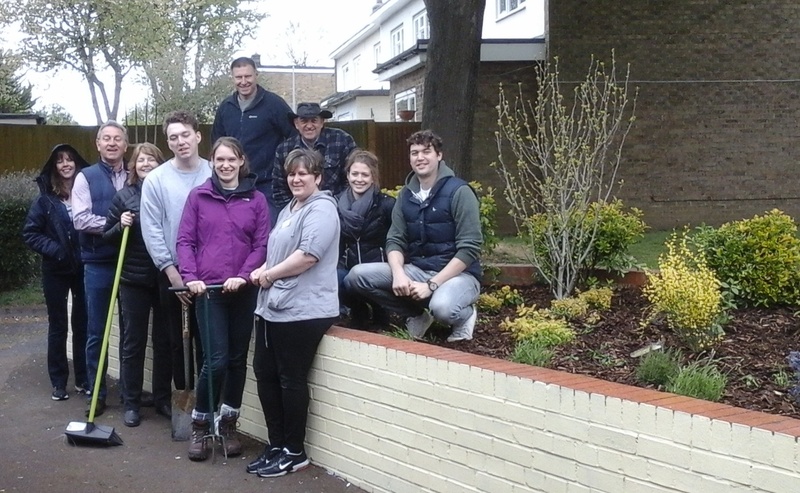 Volunteers from GSK have been getting their hands dirty transforming the garden of the Crossroads Care Respite Centre in Roebuck, Stevenage. GSK’s Environment, Health, Safety and Sustainability team used their ‘Orange Day’ to create a cheerful garden for the Centre’s clients to enjoy. 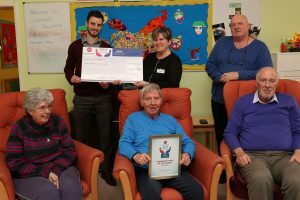 Crossroads Care supports 45 local residents with a long term condition at its Stevenage Respite Centre whilst their family members have a break from their caring role. Tracy Potts, Respite Centre Supervisor, said: “We really appreciate the support from GSK to help us create an inviting outdoor space for clients and also for donating a bench so that they can enjoy some fresh air. The volunteers were very well organised, they arrived really keen to get on with it and did an absolutely wonderful job. The clients that attend the Centre have already commented on how lovely the garden looks and how fresh and bright it is. There is also an opportunity for our green fingered clients to help with the upkeep of the area, which can be very therapeutic”. 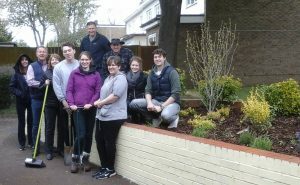 The garden makeover was made possible with plant advice and transport from Seasons Grounds Care and a grant from Stevenage Borough Council’s Local Community budget and is part of a wider modernisation programme for the Respite Centre to ensure that it continues to provide the best support for clients, over 80% of whom have dementia. Crossroads Care is thrilled to receive support from the Roaring Meg Community Support Award fund towards our Respite Centre in Stevenage. With the donation we will be providing cutting edge technology to stimulate physical and social activity through playful participation. “During a trial of new equipment one client was swishing the leaves out of the way in time to the music playing in the background, fascinated by the special images”. This is a great start to a year of fundraising to modernise our respite centre for local people with dementia. It’s the annual Carers Rights Day and we are taking part to make sure carers know about the 18 hours of free breaks available to them in Hertfordshire. We are partnering with the East & North Herts NHS Trust, Herts County Council and Carers in Herts to give carers information about support in their area and eligibility to a Carers Assessment. 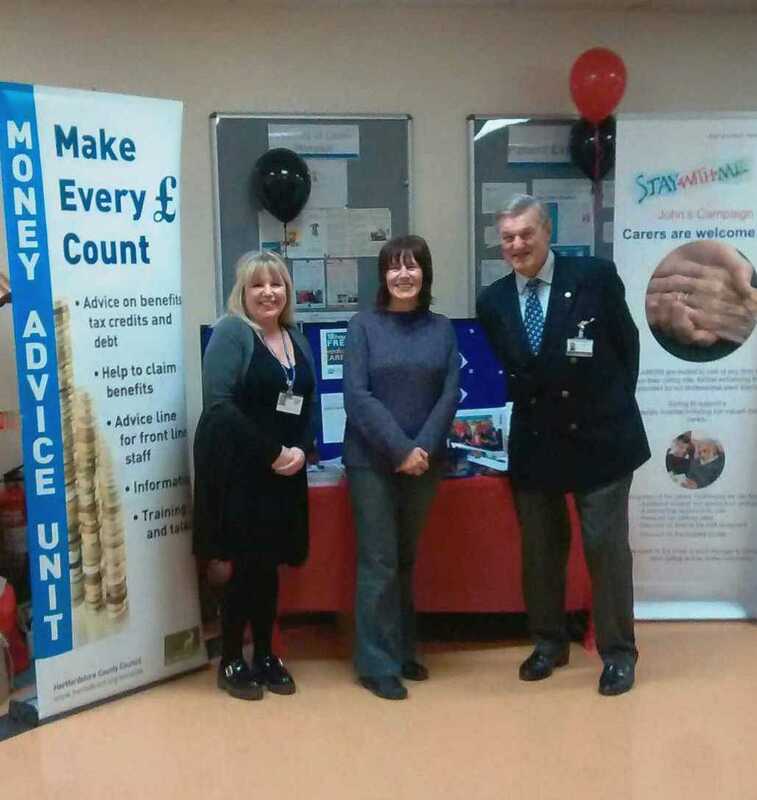 Today we are speaking to carers at Lister Hospital in Stevenage between 10 – 2pm & also 6 -8pm to catch those that work. We also hope to speak to many hospital staff so they can spread the word to any carers they meet. There are an estimated 110,000 carers in Hertfordshire and according to NHS England research 84% of carers report that their caring role has a negative impact on their health. We are committed to working with partners to make sure carers know what support is available to them when they need it.